Download Tamara L. Miller’s bio. 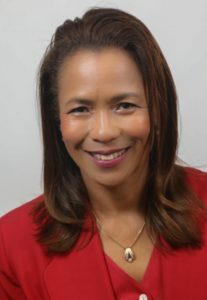 Tamara L. Miller has over 30 years of progressive leadership and legal experience in public law, having held three Senior Executive Service positions in two federal agencies. She has enforced federal civil rights laws prohibiting discrimination in healthcare and social services, resulting in numerous settlements and other corrective action on behalf of persons experiencing denial of access or unfair treatment based on race, national origin and disability. As Director of Civil Rights at the Transportation Security Administration, she led programs in equal employment opportunity, alternative dispute resolution and diversity management, and won the TSA Gold Award for Leadership. At the Department of Justice, Ms. Miller investigated and prosecuted high profile cases of national significance involving criminal civil rights violations, such as police misconduct, hate crimes and involuntary servitude. At the Department of Health and Human Services, as Deputy Director for Civil Rights, Ms. Miller provided national-level leadership and oversight to ten HHS regional offices investigating and enforcing civil rights laws requiring access to healthcare and social services programs for women, children, persons with disabilities, and minorities by state agencies and private hospitals. She is a retired Air Force and Air National Guard JAG officer with the rank of Lieutenant Colonel, and has earned numerous awards and decorations for her service. Former Senior Executive, with seven years experience in two Federal Agencies — Department of Health & Human Services and Transportation Security Administration in the Department of Homeland Security. Having retired from both the military and federal government, Ms. Miller has spent years as an insider fighting for client rights and has the expertise needed to obtain the best possible result for you and your family members. She has successfully enforced Federal civil rights laws prohibiting discrimination in lawsuits and administrative hearings nationwide, resulting in numerous settlements and other correction action to remedy unfair treatment based on race, national origin, and disability. Whether you are an employee seeking representation to protect your right to equal employment opportunity; a person denied quality health care and social services from government agencies; or a consulting firm providing advice and services to government clients, Ms. Miller will provide the expert counsel and representation that you need.